When my twin sister, LaQuisha, was fighting with #TrigeminalNeuralgia, she kept a journal. It was used to keep track of her thoughts and the many different medicines she was on. In the midst, her journal became her release because while people didn’t understand, her journal did. You can read some of her journal entries in the book #StillFighting. This is how ‘Be a Fighter’ was created. If you notice on the cover, the boxing gloves has different colors because they represent some of the battles most fight every day. Things like Fibromyalgia, Lupus, MS, Heart Disease, Cancer, Sickle Cell, Arthritis, Kidney or Liver Disease, Trigeminal Neuralgia and etc.This journal also represents those of you who are experiencing grief, a broken heart, low self-esteem, depression and/or addiction. This journal, it’s not the remedy to what ails you, I simply created it to give you encouragement to BE A FIGHTER. Especially on the days and nights when your suffering seems to have the upper hand, the moments when nobody understands and the minutes when words escape you. While I cannot stop your pain, I encourage you to fight. When you’re at your wits end and feel like giving up, tired, frustrated and overwhelmed …Fight while you write it out! Let writing, even for a moment, be your release while you FIGHT! Heroine — A woman admired or idealized for her courage, outstanding achievements, or noble qualities. You ask, “How can I become a Heroine Addict?” And we answer, “By symbolizing what a heroine is.” And in this journal, we seek to get you addicted to HEROINE by breaking down each letter of heroine into words, we hope will help you become the best you God intended. This journal is not intended to overload you with words, scriptures or prayers, neither is it set to specific days or times. We don’t have a plan attached because we want you to take as much time as you need to step you’re your rightful place, journaling your thoughts after each section until you are confident enough to move to the next word. So grab a copy let’s get you addicted to the HEROINE you are! I didn’t write this book to tell you that each day will be easy because then I’d be selling you a dream however, I simply stopped to give you some encouragement. Yes, this journey is hard but if everything was easy would you appreciate your struggle in overcoming? I don’t have all the answers but I can promise you a Master who has never lost a case. I get it, you may be in your struggle; right now but it’s only making you stronger, strengthening the weak places need to make your transition to greater. — Don’t shortchange your struggle because without it, you wouldn’t be as strong as you are! You Only Live Once begins and ends in prayer and is filled with prayers, devotionals and helpful information to help your youth on their spiritual journey. This devotional was written to let them know that prayer alone doesn’t work but with prayer, fasting, faith and work they can get through their struggle. For the bible says; Faith without works is dead (James 2:17). I pray this book reaches those that need a little or even a lot of encouragement for the times you’ve seemed to fallen and don’t know how to get back up! I pray that this book gives them restored hope and understanding and courage to pray even the more. 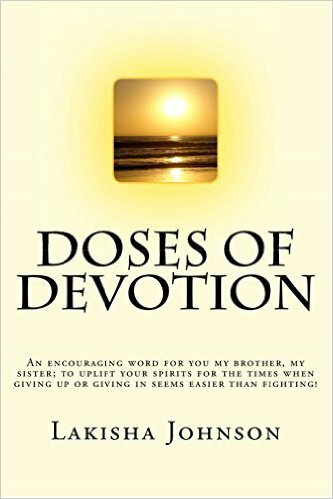 I even pray that this book creates in them a devotion to spend more time in devotion to God. It won’t be easy but it will be worth it! No, it isn’t your average devotional but it is God’s word and it is geared towards youth, teens and young adults however it is not sugarcoated teaching because the world isn’t sugarcoating it’s teaching. This devotional is written to help them on their journey because this spiritual walk isn’t a joke and it’s hard, daily. The enemy isn’t playing and his attacks are getting harder day-to-day. My prayer is that the find what they need inside. Hi, I just read your book 2:32 A.M and omg it really touched my heart. The things that went on in the story I can truly relate to. I recently gave my life to christ Feb 25th and even tho it’s been a struggle. I’m determined to wait on God. God know just what we need and your book was exactly what I need. 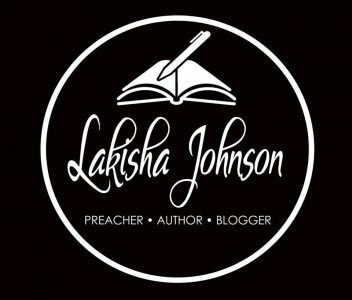 Thank you and continue to keep writing because God is using you to help others. Thank you so much. And yes, God knows exactly what we need. It is tough, some days, being in God but it’s worth it. Don’t give up.